Web Hosting Virginia – powerful websites – Dynamics! text or call is fine. You may contact us via our contact form or submit a ticket. If you need fast emergency help you can call us. Our website is secured and ready to take your order, we have a secured and encrypted website where all the transactions or encrypted and sent to our server’s merchant accounts. We do not sell the information on our website nor share it with anyone else. No 3rd party data information sharing. All your information is confidential and stays with us. We are graphic designer’s, website designer’s web developer’s and PHP programmers plus web hosting specialists. If you need any of our service’s please don’t hesitate to contact us. We are here for you, yes to help you on all your digital projects. Small or large project we are here. If you need a special custom design work please contact us for a quote. We also offer our professional SEO Search Engine Optimization for your site, we analyze and send out a report with a SEO contract. 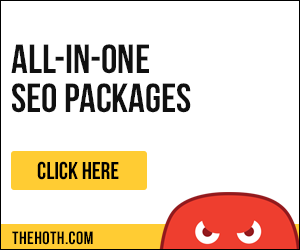 We send you a plan of attack to get your website on ranking higher on yahoo bing and google. We also offer our signage services to you. Digital printing services and sign manufacturing. We can create you a sign and install it for you at DMV area or ship it out to your door steps. Graphic Design, Logos, Brochures, Business Cards Designs, Vector Logo Recreations, Photo Editing any type of custom design. Website Building, Development, Launch Live WordPress sites much more. Website Web Hosting Services and URL Domain name registrations. SEO – Search Engine Optimization Services for your website, submit your site to google, bing and yahoo. Advertising and Marketing plus social site – adwords and how to get super fast leads, Web Hosting Virginia. Let us know how we can help you with your business. We even create and manufacture signs for your business plus hat t-shirt printing. We can help you brand your business. We can help you with all your business website advertising and marketing. We are able to help you with all social marketing and Adwords. Adwords is one of my favorite advertising and marketing platforms. I will help you create more sales with traffic to your website. Help you with leads. You will need to invest $$$ because advertising is money. I will guide you to where is the best marketing and advertising good channels. You will not spend your money for nothing. Leave all the hard work to us. We offer our sign program to you. We create nice designs which is vector and create signs for your business. We help you with all your digital and non digital advertising. We deliver or install signs for you. We help you to promote and give you ideas how and where to install signs. Let us help you with all our professional services. We provide great services on our cloud web hosting, our hosting services is real fast and 99% up time and our customer service is the best. We provide and offer web hosting services for your existing or new website. If you go with us we can migrate your existing website to us for free. You can purchase everything from us including your domain name. Yes your hosting plus domain names and even extras. Don’t forget to buy the ID protection because you will need it. This makes your info private and so spammers can’t call you or marketing people. Offering website development services for your new website with us. Save money when purchasing your hosting and domain name and your new website. I have a bundle price for you. I can create you any type of website you want. The prices here reflects only a simply nicely design website. If your website is more complex and needs more programming and more functionality then ask for quote. Graphic Design services vector files. Let me create you a design for your business. Business cards, brochures, logos, flyers, or any type of design you need. A basic nice design costs $35 for a flyer. Brochures $45, business cards $35 and a logo $50. Vector crisp clean clear designs. SEO Services for your existing or new website available. This takes time and need to review your entire website to give you a quote. This is done on a signed monthly contract if your website is built and has many pages, images and large content. SEO term is usually one year and also a monthly recurring billing. Time is essence for a good SEO website work. New websites we build comes with free SEO and ready submitted to search engines. We can work together on your website online with Teamviewer. Read more about teamviewer and we can have a class online if you want to learn how to create websites or graphics. Go to my store for hourly pricing and buying your next cool teaching. You will learn right when we start. We create your logo from your images file. If you have lost or need a logo that is on a JPG we can get it done for you. Ask for quote for recreating your logo. We are professional’s when it comes to recreating your logo. We are professional’s at what we offer and do here. We are offering and providing everything you will ever need when running a business. We are SEO experts plus advertising classified ads. We have our own classified ads website and also marketing channels that people will see your website. You will be found with our ads campaigns. We use many different internet tools to get your website out there. I know creating and developing your website is super important. But what comes next? Yes promoting and marketing your business. We also experience with Adwords and Bing ads campaigns. Let us help you with all your digital projects and work. We design Signs for you. If you buy a sign from us then you get a free design from us. We can also design it for you and get it built somewhere else but then a small one time fee will be required for the vector file to be released. We can do any type of signs for you. Just contact us today and we help you with your property and external signage. We help you promote and sell more. On site signage for your advertising and marketing needs. Let us create and build you a sign on any substrate. Navigate throughout our entire website to find our sign gallery and work. Why do we offer this? Because we are professional’s and creating and building signs. To give you another great product that will help with your business and sell more.